Protein isn't just for body builders looking to pump up their muscle mass while sculpting their bodies. 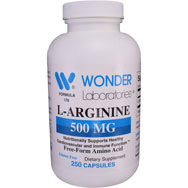 It also is an essential substance for everyone of all shapes, sizes, ages and physiques. Proteins serve as the human body's basic building blocks. 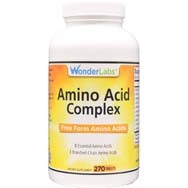 They are comprised of amino acids whose job it is to build muscles, blood, skin, hair, nails and internal organs, as verywell.com puts it. The expression "We are what we eat," is probably no more true than when it is applied to protein. The trick with protein is to know how much to put into our bodies every day, and what the best sources of protein are. The Institute of Medicine recommends that between 10 and 35 percent of our daily calories should come from protein. Experts acknowledge that is a wide range, but the optimal amount is generally regarded as 56 grams of protein a day for grown men and 46 grams for women – 71 if they are pregnant or breastfeeding. What makes protein such a popular topic with health-conscious people is that it's known not only for its role in building muscle, it's a key ingredient for anyone looking to maintain a healthy weight or even lose a few pounds – all of which can lead to a lean, fat-burning physique. One misconception about protein is that it solely belongs on the training tables of elite athletes whose goal is size and strength, and that the way to getting there is with a thick, juicy 22-ounce steak in one hand and a super-sized cold, creamy protein shake in the other. That's not what proper protein intake is all about, though. It's not rocket surgery to sit down with pencil and paper to devise a dietary game plan that utilizes the right kinds of protein in the proper amounts, with a mix of proteins that are "complete" (those containing all of the essential amino acids sourced from foods such as beef, chicken, fish, eggs and milk) as well as those that are "incomplete," coming from such foods as vegetables, fruits, grains, seeds and nuts. Altogether, those food items can form a diet-plan foundation that is healthy and tasty, don't you think? Chances are most of us are getting enough of the Recommended Dietary Allowance (RDA) of protein even without knowing it. Still, it's a good idea to get a handle of exactly what we are eating every day. Don't leave it open to chance in terms of what sorts of proteins we are ingesting, and how much more, and from what sources, should we aim for in pursuit of health optimization. Health experts suggest if you are going to err on one side or the other of the beans (good source of proteins) counter, better to err on the side of a little too much. If, for example, you are an avid exerciser, you can afford boosting your protein intake. Both resistance training (as with weights) and hard cardiovascular workouts (such as running and biking) can quickly break down muscle protein, leaving our bodies begging for more. Before going off on any deep ends or new exercise or dietary regimens, it's best you first confer with a health professional such as your physician or a certified nutritionist. "Proteins" come from the Greek word protos, meaning "first," as in protein goes to the top of the list when zeroing in on human nutrition. Get your calculators and metric-conversion charts out. Per health.harvard.edu, the RDA for protein is 0.8 grams of protein per kilogram of body weight. Protein is the second-most plentiful substance in the body, behind water. Most protein ends up in the skeletal muscles. Like we said, you don't have to be a bodybuilder working out umpteen hours a day to create a need for protein. That need is always there, for all of us, to one degree or another. 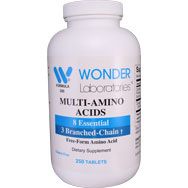 Because cells in our body are dying every day and then being regenerated, we constantly need a resupply of amino acids to keep that engine running. Even if you are getting leaner, don't let up on your protein intake. Otherwise, start saying goodbye to strength and muscle. 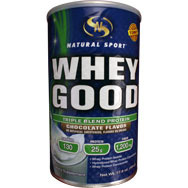 Two of the more efficient protein sources are whey and eggs – each is high in amino acids and sees more than 90 percent of its proteins get utilized, yielding an excellent protein utilization (NPU), per muscleforlife.com. Insulin, by the way, is a protein. Limiting your protein intake to three times a day (with each meal) vs. consuming some here and there throughout the day won't hinder your body's utilization of protein. It can work just as well either way. One last thing: if all this talk about food has you craving a protein "fix,” OK, go ahead and make yourself one of those delightful-looking protein shakes. Make one for me while you're at it.